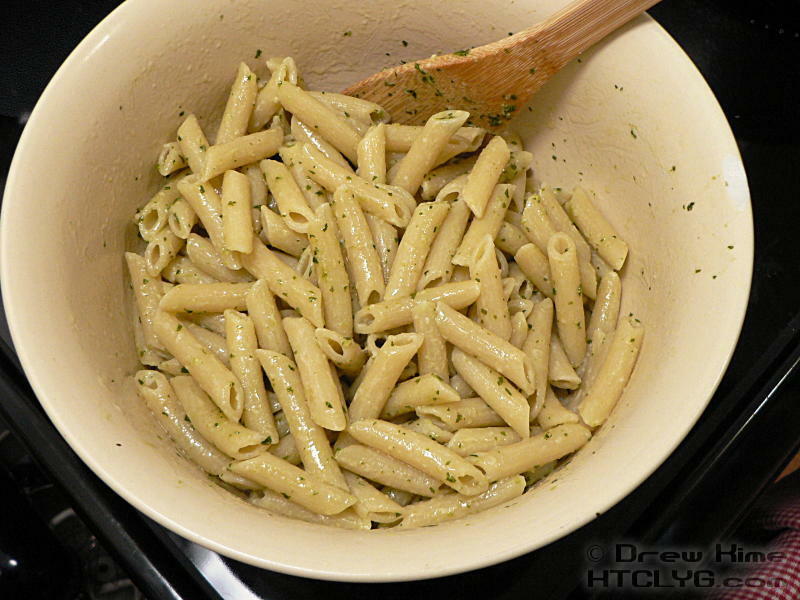 Penne with pesto — or Penne alla Pesto if you want to impress people — is a great, light dish that you can throw together in almost no time when you don’t want to heat the kitchen up during the summer. 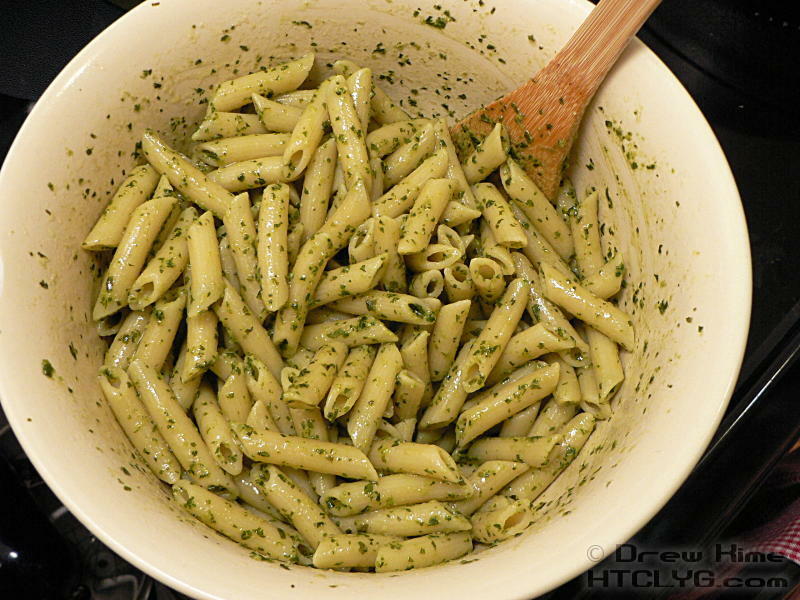 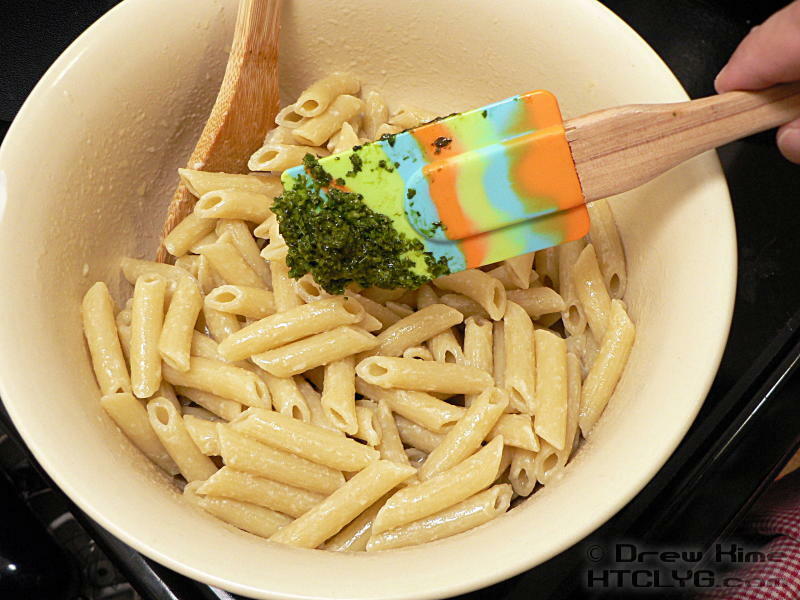 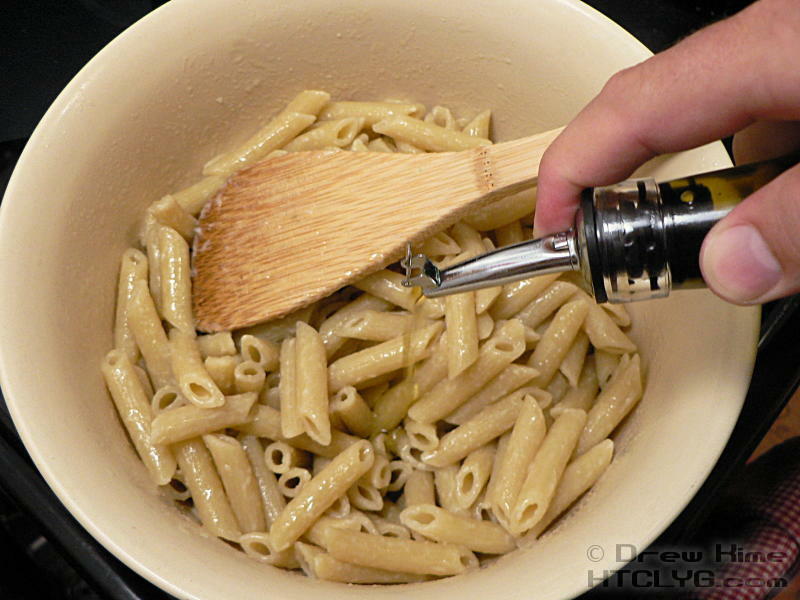 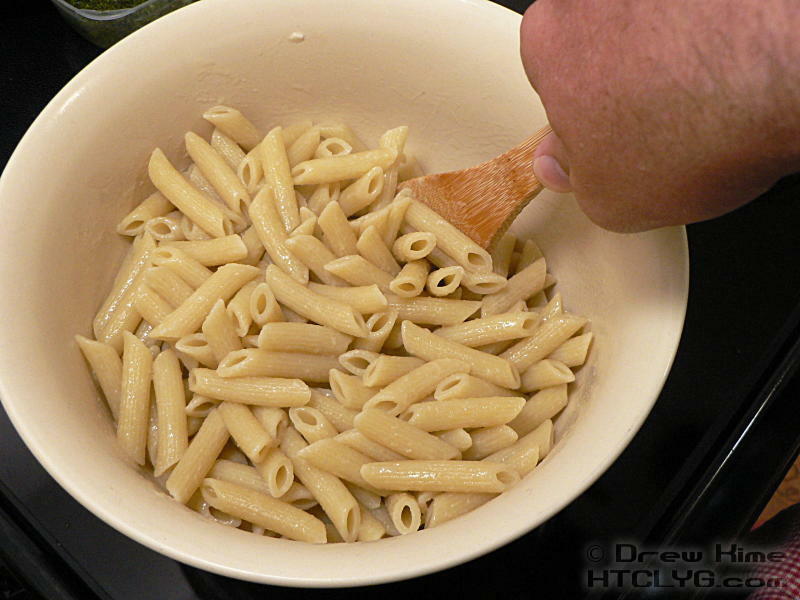 Assuming you’ve already got your fresh pesto, cook up a pound of penne pasta. 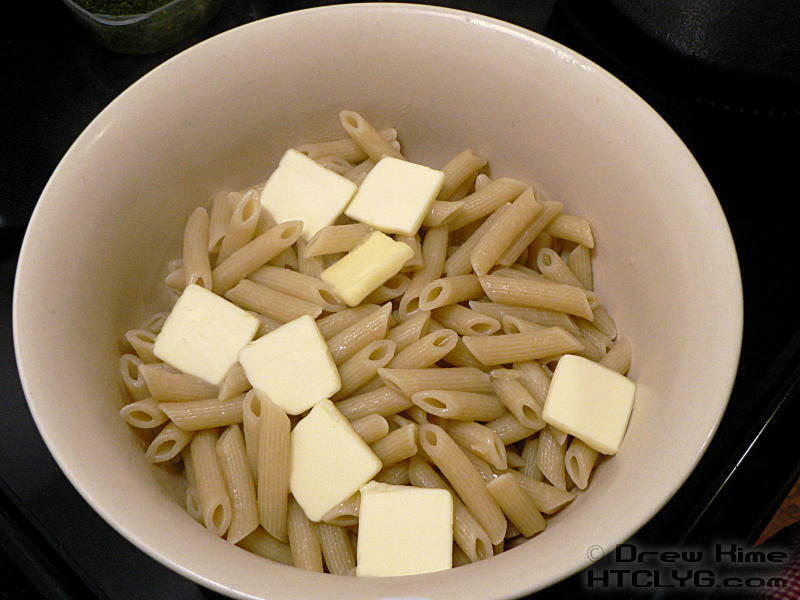 Drain it, and mix in three or four tablespoons of butter. Add a couple of tablespoons of extra virgin olive oil. 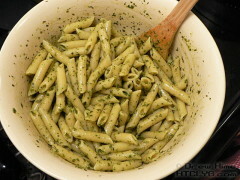 And a tablespoon of that fresh-made pesto. 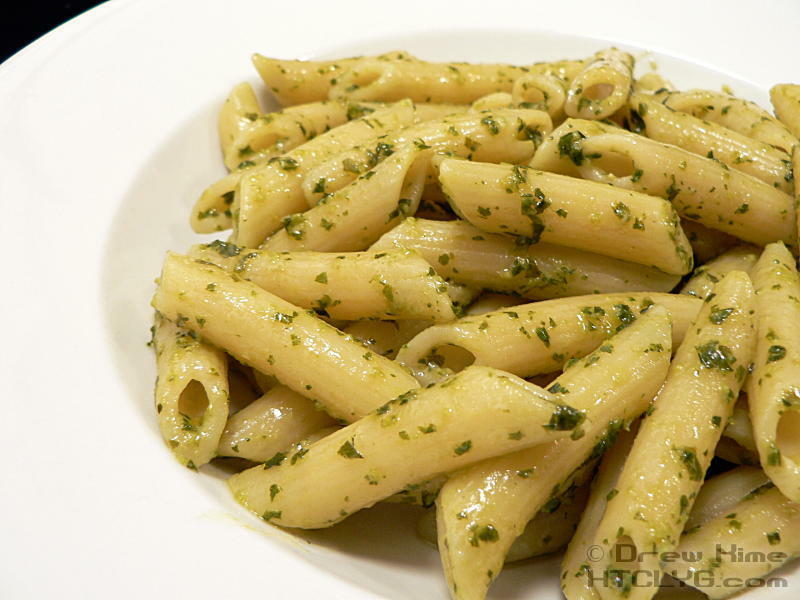 Have your wife sample it, and find out that she likes pesto more than you remembered. Stir in another tablespoon of pesto.